The company Uwell decided to update after the new year. So they presented four devices at once, with three of which we already had an opportunity to get acquainted. In turn, the final in this “wave” novelty of a very strange purpose. Let’s stare at the Uwell Fancier RTA/RDA. The design is rather modest, the features of the “self-expression” of the developers appeared only in the pattern applied to the glass of the tank, and a wide color palette of the hull color. The form factor is the most common and usual – it is a clear straight cylinder, and only the dome of the drip has a slight narrowing to the top. Drip type is made of plastic and has an 810th landing. It sits in a removable top cap, under which for some reason there is only one middle hole for refueling the tank. The capacity of the tank is not the greatest at such a size – it is all due to the “complicated” design of the device. Still, I decided to first talk about the database, and then we’ll proceed to the transformation. The base is a two-pillar – bike-like racks. When fixing the legs of the spiral, the last ones will deform – this is so constructive. Above the stands there is a platform with four holes for fixing cotton wool and one as a mine. As you understand, the ends of cotton wool are pointing upwards, there they are soaked with liquid from the tank. 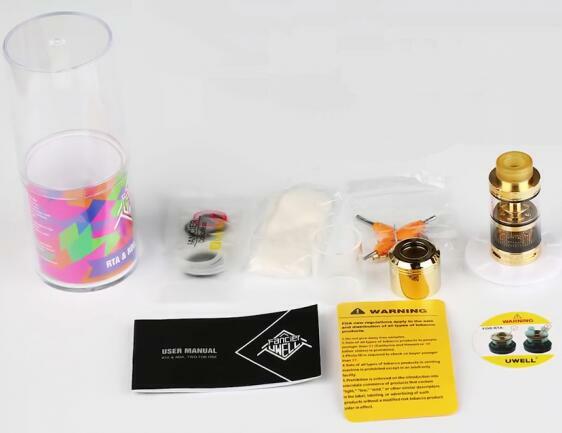 To my taste, I guess, it will not be so hot, because the steam collecting hole is at a very small distance from the coils, and, naturally, there is no flavoring to do because of the design features. However, the plus sign in this piggy bank will be added by the lower blowing of the coils – holes are oval, elongated, wide. It is very inconvenient to install spirals in such a “sandbox”, because the top is covered by the “fungus” of the site. Another unpleasant moment lies in the fastening of this very platform – it is hooked only on one rack, and “roll her head” is easy. That’s why it was not supported by the insulator over the second rack, let it not be fixed on the counter (of course this will not work), but it was possible to prop up. Nevermind. The air intake openings are four, they are located at the base of the base and overlap with a swivel ring with knurled. Well, now with a slight movement of the hand the tank turns into drip. Just remove the entire top structure, and the platform for cotton wool, as I understand it, is not removable, then we shift the ends of the cotton wool to the bottom of the deck, although, probably, it can not be done, and after we pull the dome of the drip. That’s basically all, the feed adjustment remains the same. The bath is by the way not deep, however there is squonk pin. Both pins are gilded and perform well. Summarizing, I will say this – for two hares you will chase, you will not catch a single one. 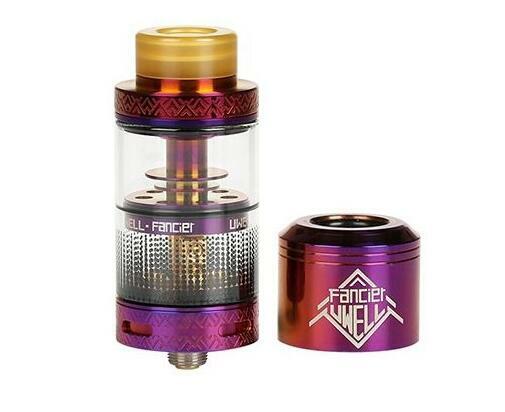 The price of this tank is $28.9 in https://vapesourcing.com/uwell-fancier-rta-rda-tank-4ml.html – for such a transformer is not expensive, and the equipment is rich.